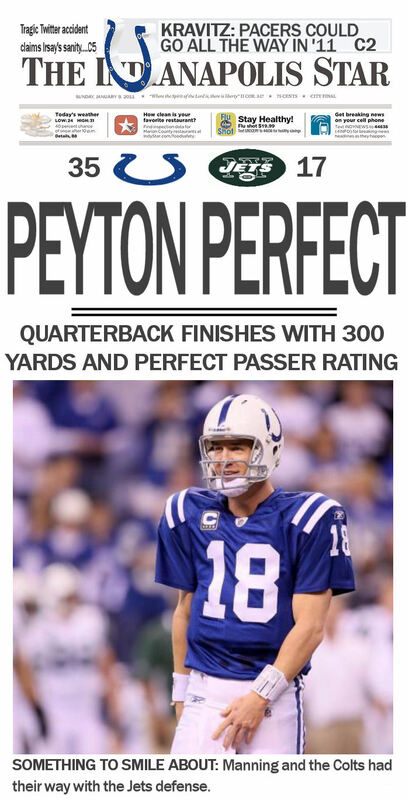 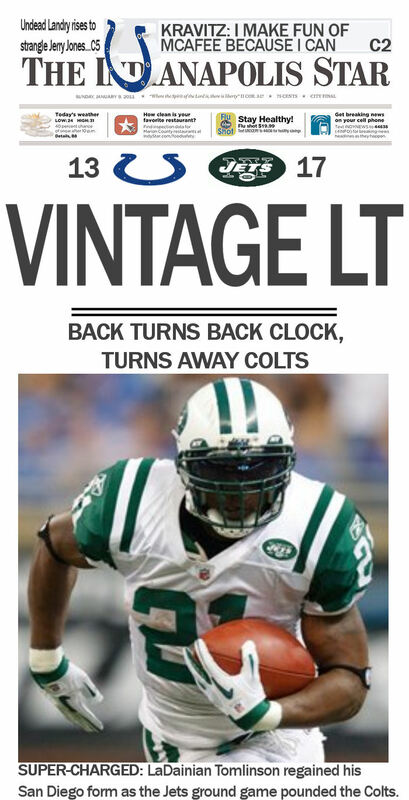 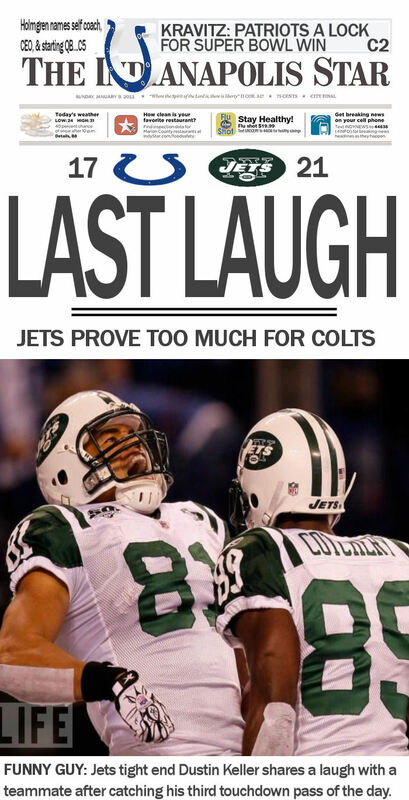 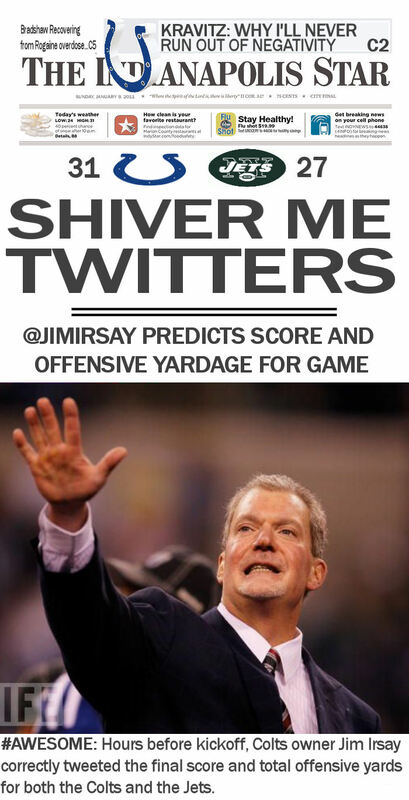 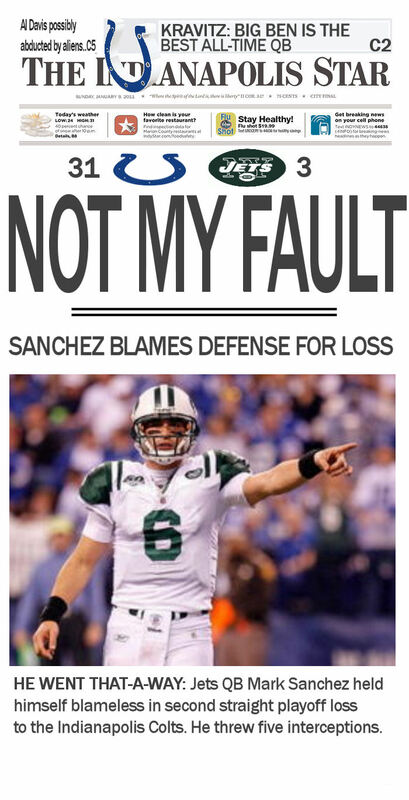 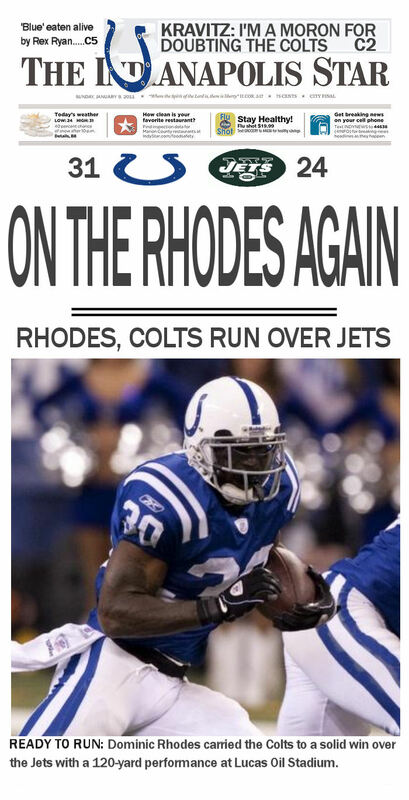 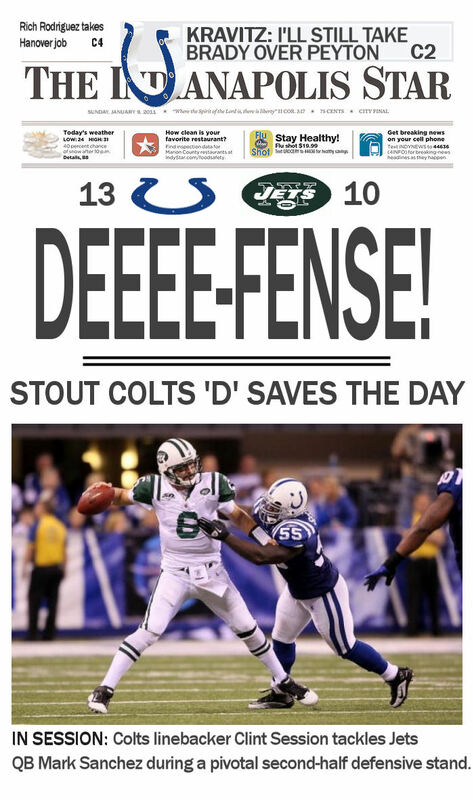 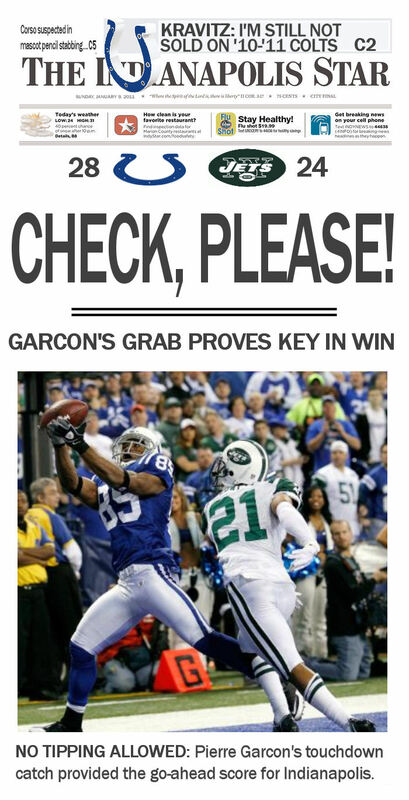 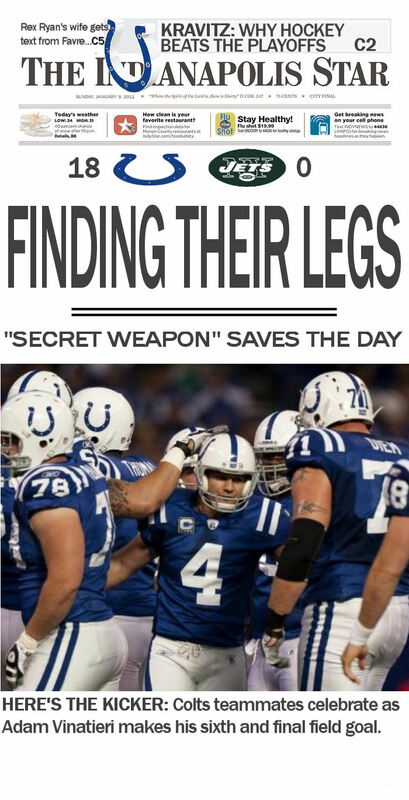 When the Colts played the Jets last year, I made a series of front pages for the Indianapolis Star with possible headlines for the game. 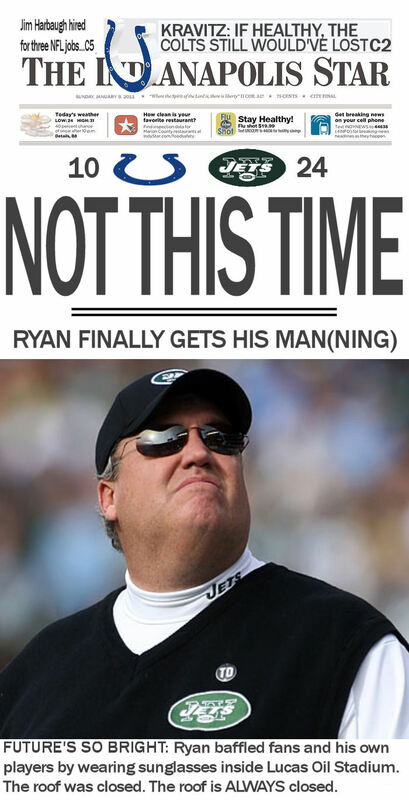 I did the same thing this year...and made them even bigger. 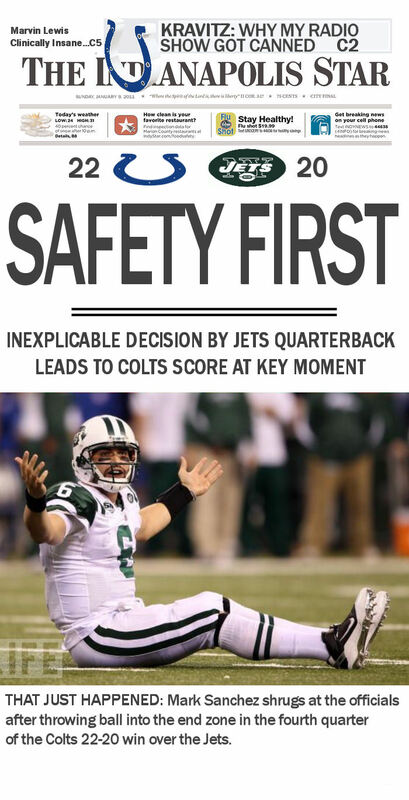 Which one do you think tells the story?